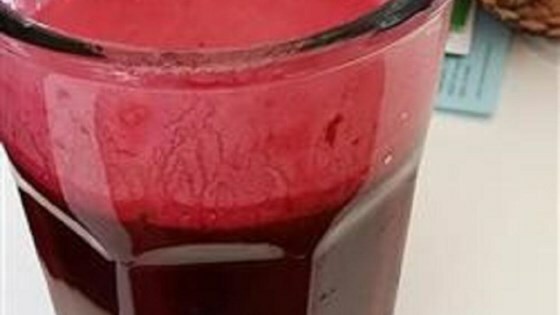 "This is the first juice I made, and I hit it out of the ballpark by just using what I had on hand." Run tomatoes, carrots, celery, spring greens, kale, radishes, lemon with rind, and peeled lemon through a juicer according to manufacturer's instructions. I used a Breville Juice Fountain Plus® to make this; I used low speed for everything except the carrots and radishes. Don't forget to add a liner or bag to the refuse bin if your juicer model has that feature. While the taste only warrants a 3 star rating, the overall variety of vegetables and nutrition value of this drink give it an extra star. I found this to be not good at all. I am going to have to work with these ingredient to see where I need to altar. I think one kale is more then enough.